Give back to your local community with a great fundraiser. Check out these amazing premium flyer templates. 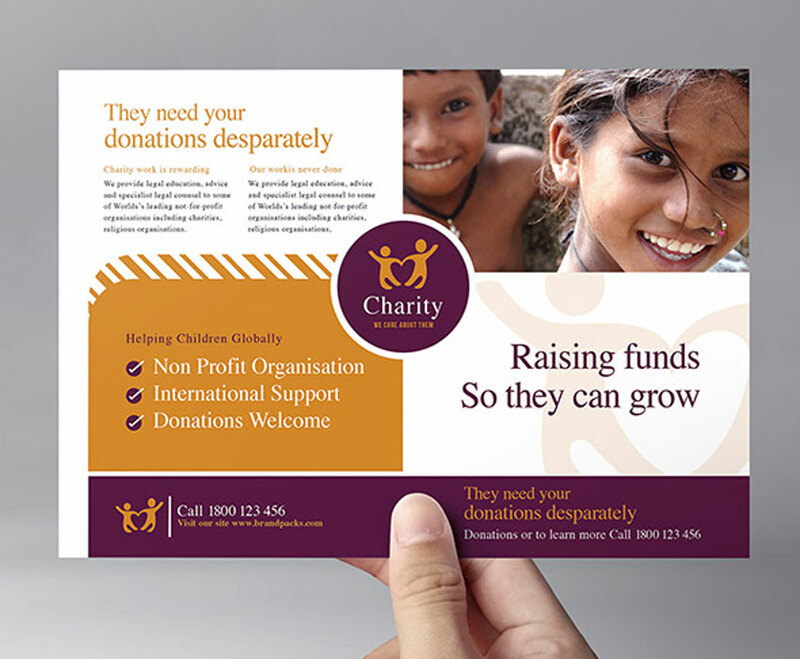 Charities and non-profit organizations can benefit a lot from fundraising flyer templates. These easy-to-use resources make it simple to promote local causes fast. 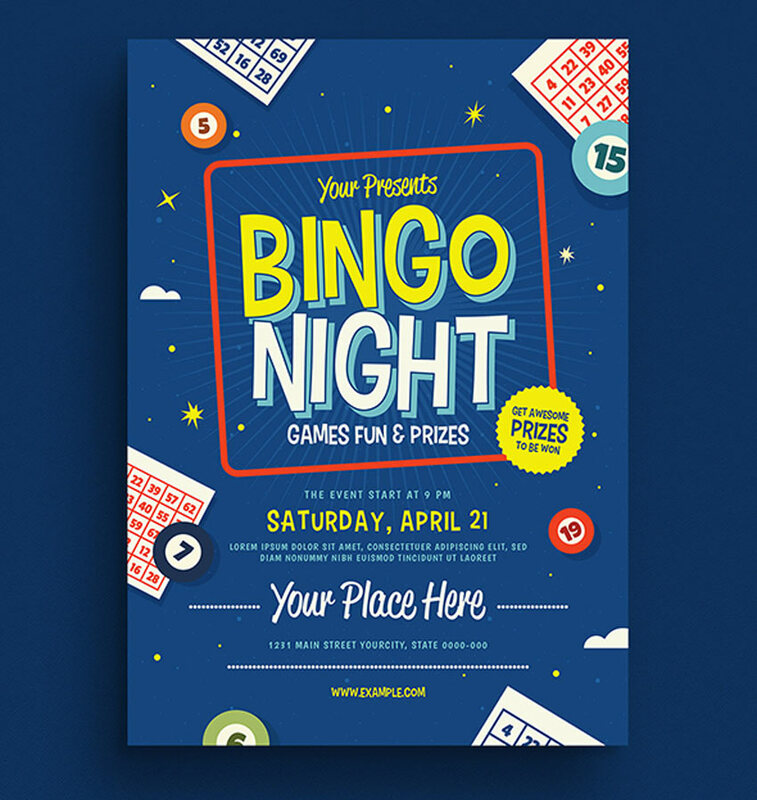 And to help get you started, we’re bringing you an inspiring selection of Photoshop and InDesign flyer templates from Envato Elements and Envato Market. From 5K runs to breast cancer awareness, there are many causes you can attach yourself to in order to help improve the world. Use these flyers to meet your fundraising goals while giving back to others. Make this the start of incredible relationships and a lasting local impact with the right promotional flyer. Love to golf? Kick off your next golf tournament with a special cause! This first template features a rack card design with simplistic details. 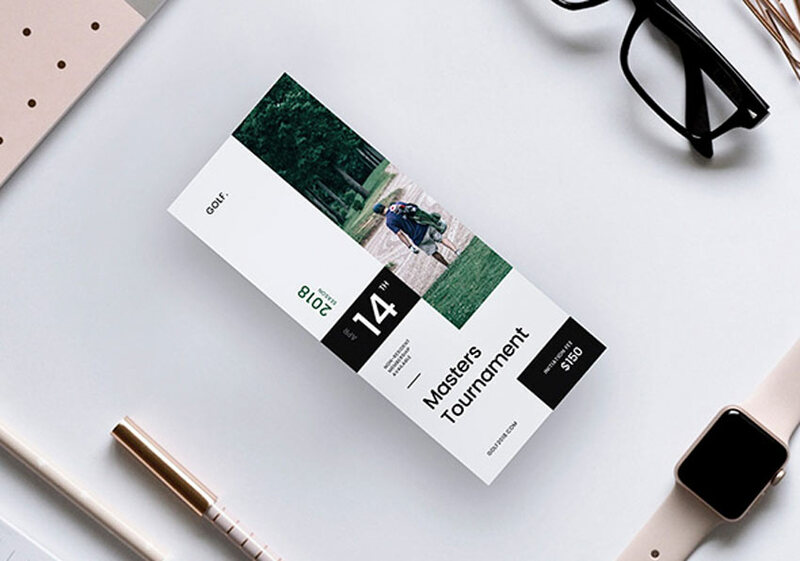 Update it with the help of Photoshop or InDesign to customize this template with your own photos, text, and event details. 5k runs are a great way to give back to the community while also getting in some exercise! 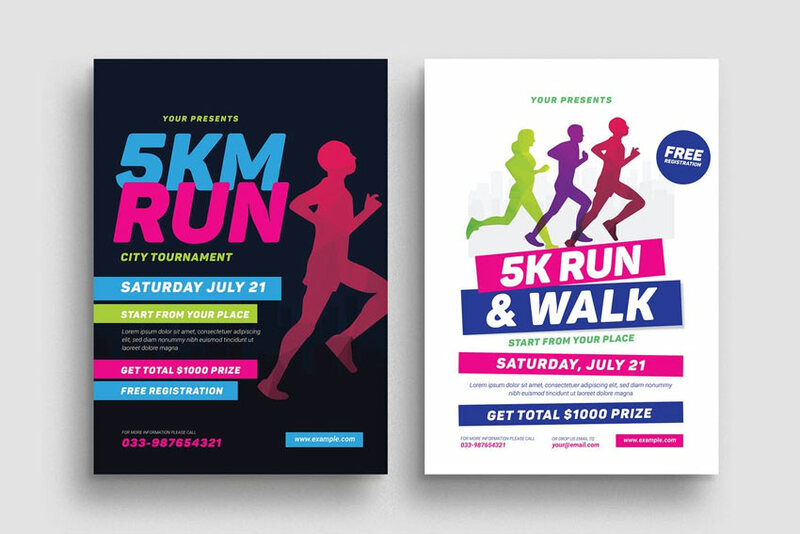 Check out this brilliant 5k run event flyer with beautiful, vibrant colors and silhouettes of runners. They feature two optional designs and print-ready formats for your convenience. 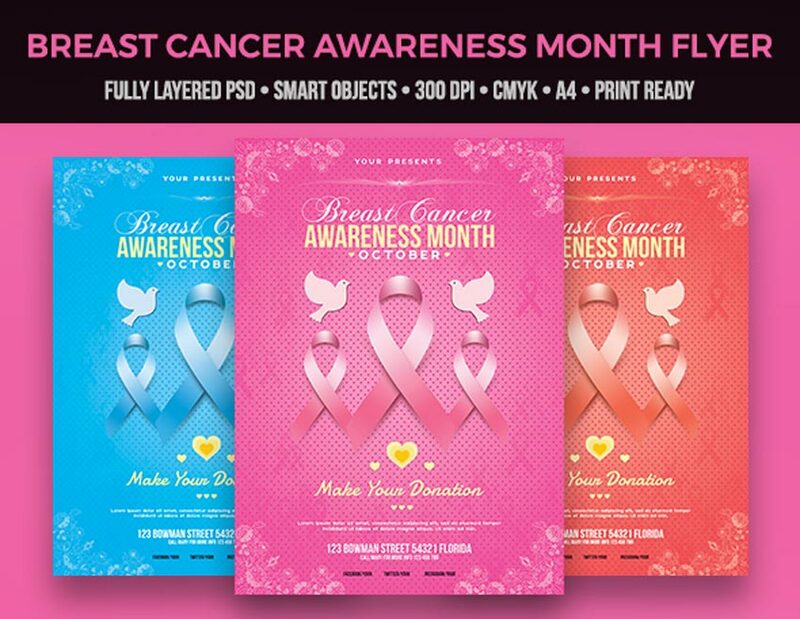 Be a part of breast cancer awareness month with this stunning flyer template. This download features three wonderful color choices, including the original pink color associated with this cause. Enjoy fully editable files made with only free fonts. Inspire your buddies to make a change with a local charity golf tournament. This next flyer features a standard A4 size design with bleed lines already included for efficient printing. A help file is also included to help you navigate the files inside. Check it out! Don’t forget there are many in need this winter! 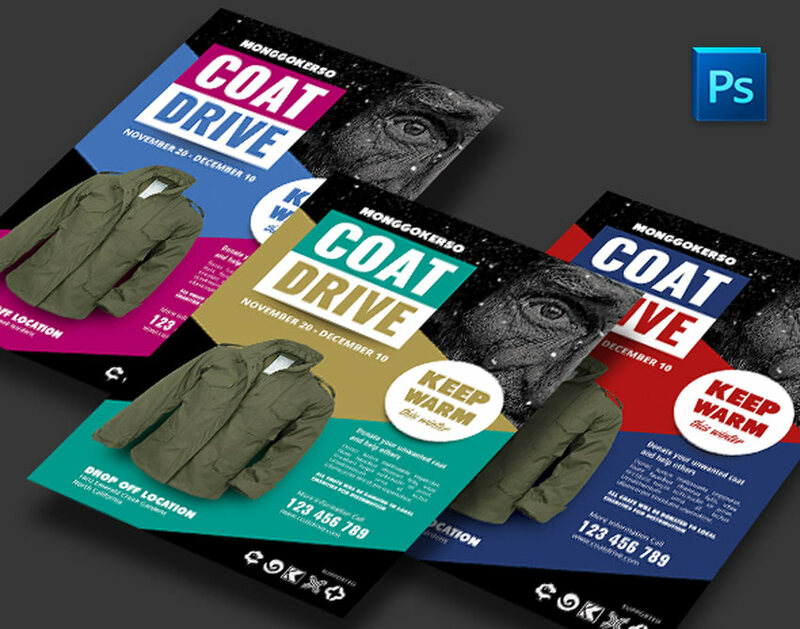 So create a local coat drive to help those less fortunate with this new flyer template. This template features three alternative colors to choose from. You’ll need to replace the main images, but you can do that easily with free or premium stocks. Chalkboard designs always trend across the industry for a multitude of projects. 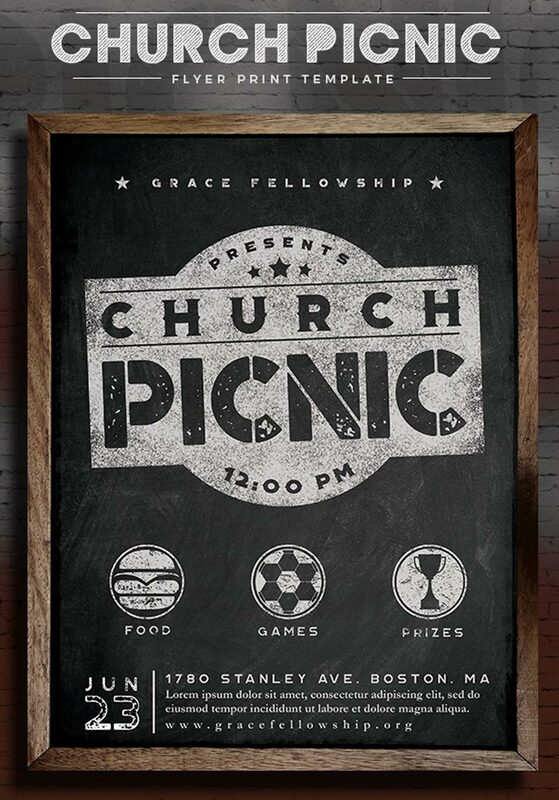 Check out this unique rustic design, made exclusively for a church picnic fundraiser. It’s easy to edit in Adobe Photoshop and can be handed out as an invitation or posted on nearby bulletin boards. Bingo night is a favorite past time for many folks. It’s also often used as a backdrop to incredible charitable organizations. 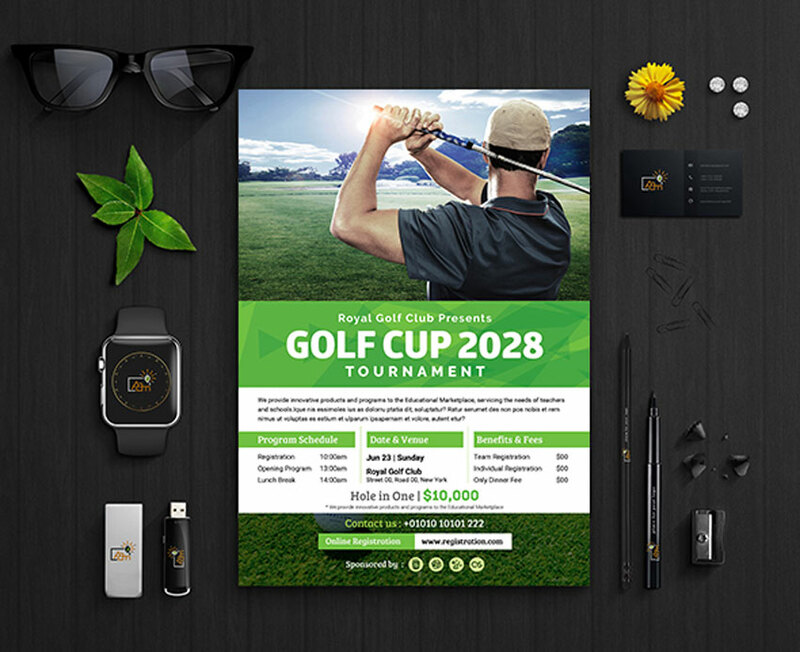 So try out this next event flyer template for a clean and modern design. It was made with completely free fonts and is editable in both Adobe Photoshop and Illustrator. Bring out the best of the people around you with this lovely charity flyer. This beautiful design features polygonal hearts with hands reaching out to inspire community outreach programs. Download this pack to get two alternate versions with A4 paper sizes and bleeds. 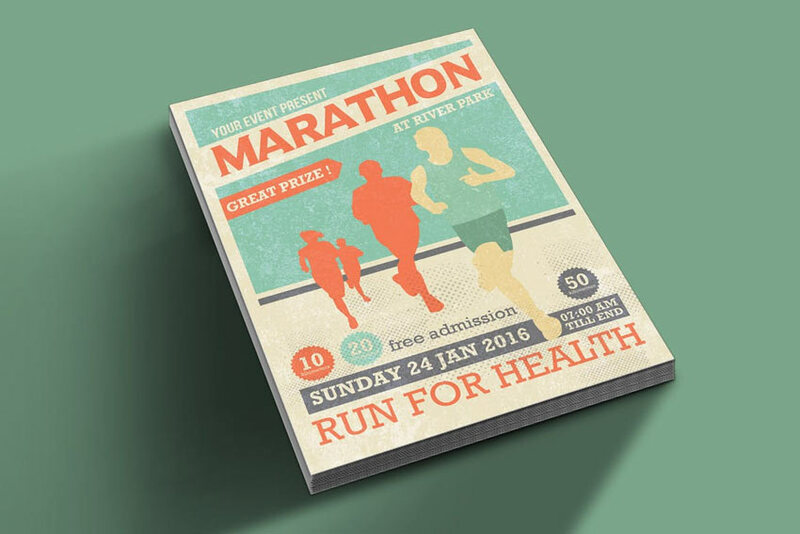 Many local athletes love running, so consider throwing a marathon event with this minimalist flyer template. This template features silhouette characters against a textured background, as well as simple details you can definitely update fast. Try it out with new colors and more. Organizations around the world connect strangers to important causes. 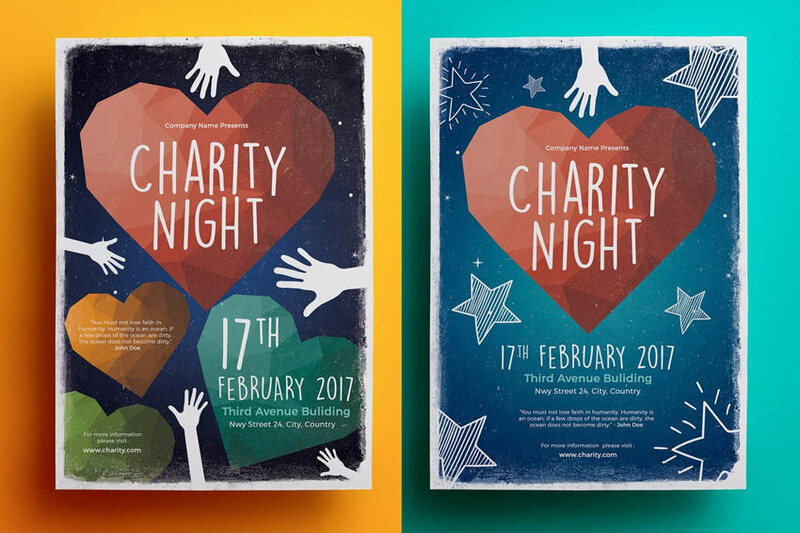 This charity event flyer will help you do just the trick with powerful images and organized text. It comes with three color options, but you can edit any color with the help of Adobe Photoshop. 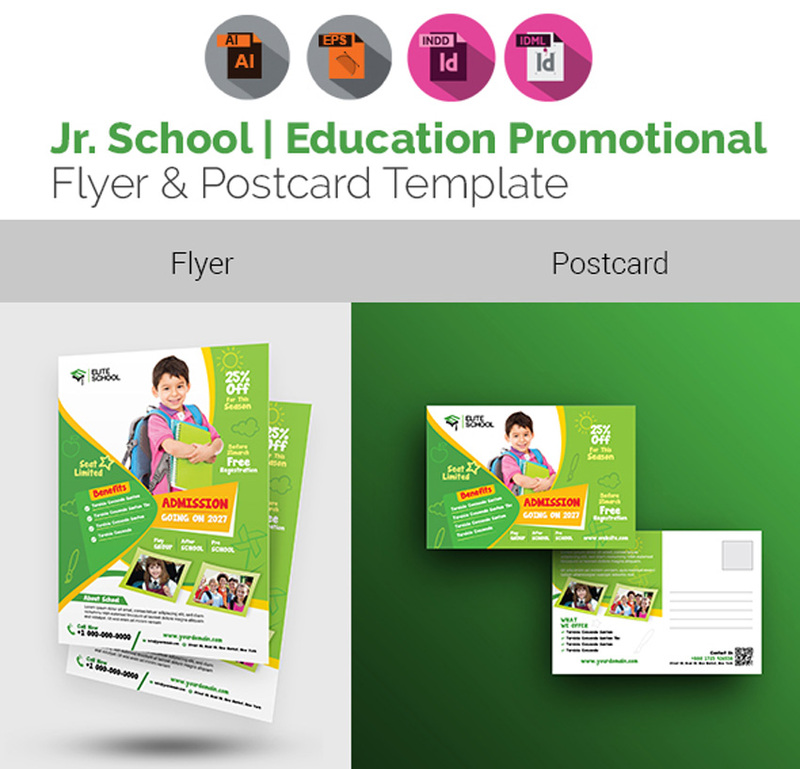 Whether your community needs more school supplies or new books, this next flyer template bundle is fast and efficient. It features standard sizes for both flyer and postcard orientations and can be easily interchanged between three colorful options. Help your school out today! For some fundraising events, all you need to provide is good company and food. 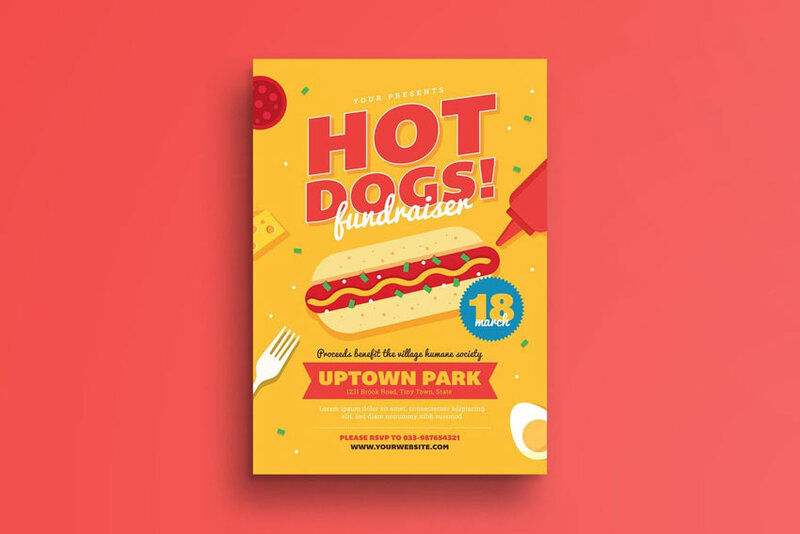 Take this hot dog fundraiser flyer template, for instance, with bright bold colors. It features a trendy flat design that is 100% vector and fully scalable. Update it with new colors, text, and more! People all over the world need our help. And we can definitely make that happen with a great cause. 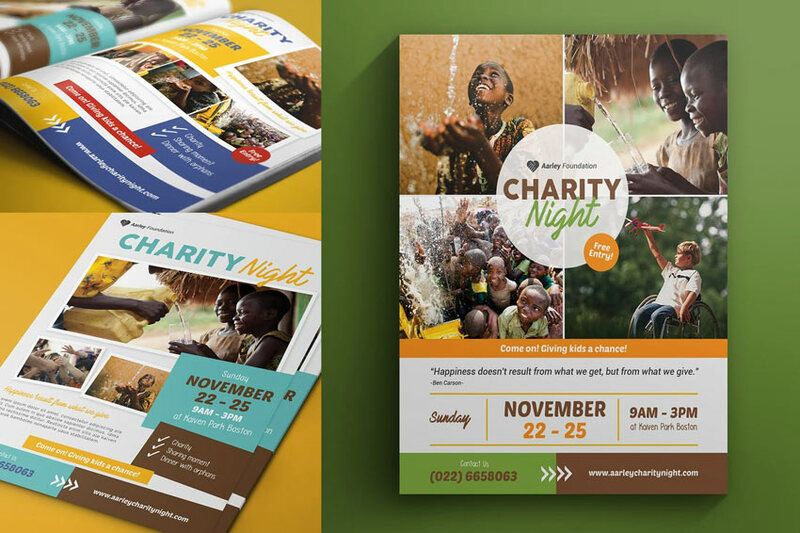 This charity flyer template helps to make that possible with a straightforward design that is compelling and original. Use it in Photoshop or Illustrator for a high-quality result. Last but not least, there are many event flyers you can customize to fit your special cause. 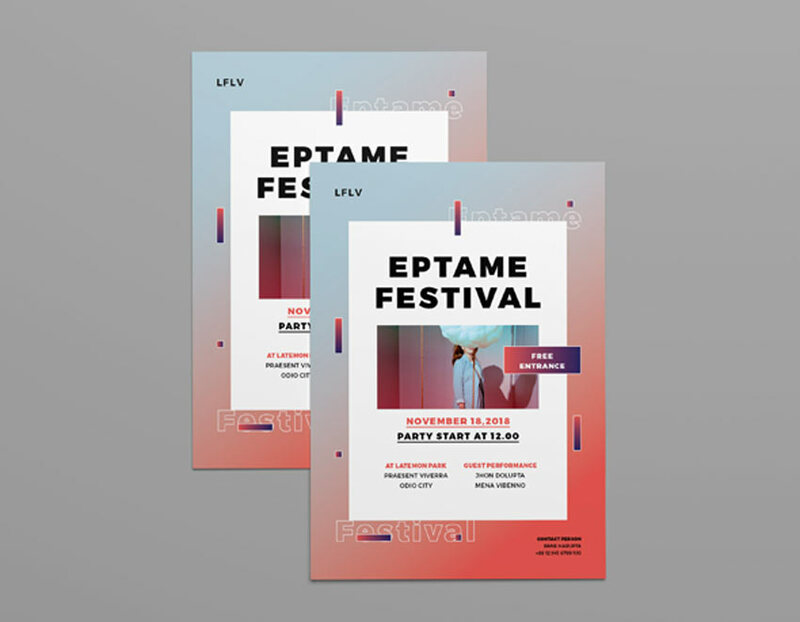 This festival event flyer template is colorful with a clean, simplistic design. You can customize the gradient to fit your brand and update the cover with inspiring photos. Check it out!